This article explores how to improve your magic illusion show and make quantum leaps as a performer and entertainer. With the above distinctions in mind, this post focuses on how to improve your show, which will naturally encompass your individual acts. This is fundamental and most magicians & Illusionists know this inherently. You need to make sure there are no flashes & exposure. But, you should also look for smoothness in magic technique. Any fumbling, suspicious moves or awkwardness will not look aesthetically pleasing and will take the audience out of your performance. Economy of action refers to using the least amount of movements to execute specific actions. The actions can include performing moves during manipulation or general magic acts. In illusion performance, these include non-magic actions such as opening/ closing a door to a prop, removing a cloth, turning a prop around, taking swords/ spears/ tubes from a stand or stage hand or moving panels, illusion parts or catches. Many performers do not think about how to present such non-magic actions. As a result, these actions are performed without thinking how they look or take too much time to perform. Every non-magic action has to be well thought out and choreographed. The actions must be performed smoothly and with economy of action. In any single magic or illusion performance, there can easily be ten non-magic actions to perform. So, it is critical to ensure these actions are short and look elegant so that the entire performance will be polished and professional. This is a very important aspect to a show that may not come naturally to some people. As important as it is for your individual acts, routines and illusions to be well choreographed and presented, it is just as important for your show to be structured well and for the show order to be “right”. Just like ensuring economy of action for your moves and movements in your individual acts, you want to create the same kind of economy between acts and during transitions. The most common visual moments in a magic or illusion show are when the magic happens, during an audience applause cue or finale pose. This is the single most useful tool available to you and you will clear half the problems or issues in your show if you have a critical eye. A good producer or director will be able to help with your show. 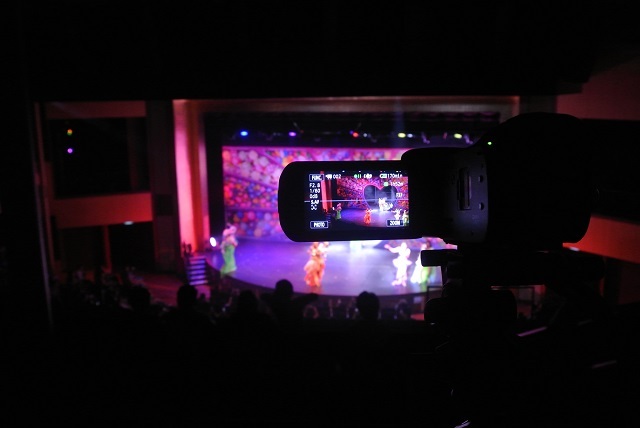 You can find a theatrical director or a general show producer who has experience with variety acts. You can also look for magicians and illusionists with producing/ directing experience. I personally do not ask fellow magicians for critique if they do not have directing/ producing experience. One reason is that they tend to focus on micro issues and be too magician-centric. Studying plays or films will also help you understand story and character arcs or well as proven story structures. Even summer block buster “popcorn” movies have a simple formula or structure that can be adopted for a magic show.